D: 18" x H: 16 - 48"
This European-inspired cone-shaped pendant, with its heirloom gold interior and glazed metal structure, adds a warm ambiance to transitional decor. 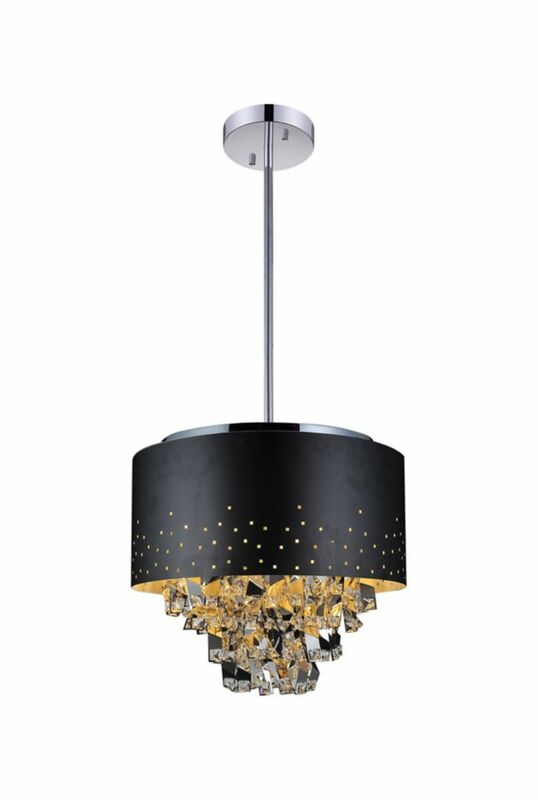 Available in black and antique gold, the Bronx is a stunning piece that's dramatic on its own or when grouped with other members of the collection for maximum illumination and effect. This uniquely designed pendant with its heirloom gold interior and glazed metal structure adds a warm ambiance to transitional dicor. Available in black and antique gold, the Piquito is dramatic on its own or when grouped with other members of the collection for maximum illumination and effect.